We tested a few cost efficient MFDs on different parameters to help you pick the best depending upon your needs and requirements. The dawn of the digital age was supposed to sound the death knell of the printer, this most wasteful of contraptions. But, yet again, we find ourselves testing these facilitators of mass tree-genocide and trying to come up with the most economical option for your home or small office use. Setting aside our conscience for a bit, let’s take a closer look at the printers we received and sift through the marketing mumbo-jumbo and myriad, seemingly important specifications to come up with facts and figures that are more sensible and will help you make an informed decision. Printers aren’t really an exciting category for us to test and the whole process usually feels more like a chore than anything else and reading about it might be even worse. However, they are a much neglected category and just picking up a printer off-the-shelf is a bigger risk than you might realise. There are so many things that you have to consider, the features that you want; the cost of cartridges; how large is the buffer (does it even matter? ); how much you’re printing; is there an option for a cheaper toner or refill and so on. All these questions and more we’ve tried to answer in the course of this test. We essentially got two categories of printers, laser MFDs and colour MFDs, but only two of the latter. Laser MFDs are a staple in any office and truth be told, there isn’t much to distinguish one printer from the other. You might have the odd document feeder or in-built fax machine, but these devices are by and large the same. You will see from the table that the performance of these printers does vary considerably, given our scoring, but please bear in mind that these scores are given with the harshest of mentalities while the test prints were examined under a loupe, but the untrained eye will not notice any significant variation in quality. Ricoh sent us three printers, the SP100U, SP200SU and the SP203SFN. In order, they represent the three basic types of MFDs that you can purchase, namely, a basic laser MFD for low volume printing, a more advanced MFD that can handle more paper and the most advanced which includes an Automatic Document Feeder and even Fax support. In terms of design these printers are very staid and simple and are exactly like almost every other MFD that we’ve come across. One unusual design decision is the paper input tray, which is longer than the width of the printer and so, juts out the back. What impressed us most with these printers however was the consistency of the performance; you can pick up either of these printers and rest assured that the print quality will be consistently above average. We did notice that the printer struggled when it came to printing large image files at the maximum claimed quality (1200x600) and we can only guess at the cause. That said, you’ll never really need to print at 1200x600 as prints at 600x600 look the same anyway. All three devices showcased impressive scanning capabilities and while the resolution might be low (compared to scanners on photo printers), the quality and colour tone were excellent. Where these printers really take a beating is in the cost of ownership with the SP203SFN coming in at an astronomical Rs. 4 per word and the others at almost Rs. 3. Another area where these device suffer is in the copy tests, where the outputs were a little more faded than we hoped. Ricoh also gives the option of a toner refill, drastically cutting down your printing costs in the long run. That said, in terms of pure numbers, the SP203SFN is by far the most expensive printer to run. With the total cost of ownership exceeding Rs.11 per page for one year. The SP203SFN only makes sense if you’re printing thousands of pages per month. Even if you were to consider toner refills and a three year average print cycle (as we did), the costs come down significantly (Rs. 4 per page) and it’s still the highest in this category. Ricoh’s remaining two printers aren’t so bad in the price per page department and are well below average at approximately `2.4 per word. There were four MFDs from Brother; the 1511, 1811, 7060D and 7065D. Of these, the DCP 7060D and the 7065DN are by far the better designed and built. 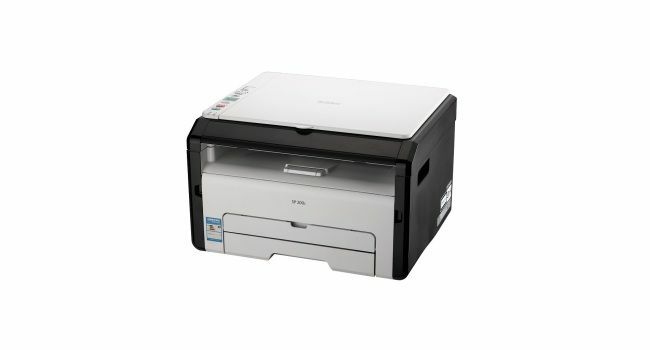 Both these printers look and feel solid and generally very professional, sadly, the same can’t be said for the DCP1511 and the MFC1811. The printers have a comparatively flimsy input tray and you can’t open the flaps for the o/p tray without popping up the entire scan bed. The problem with these MFDs, unlike the Ricoh ones we mentioned earlier, was the inconsistent results. While the 7060 and 7065 performed very well, choosing the highest quality output would result in prints where the contrast was pumped up way too much, turning finer details into a black mess. Prints at standard quality were easily the best in class. The 1811 was surprisingly bad when it came to our point size test and just awful when it came to our sharpness test, with gradients and striations where they should have been none. The 7065DN was the best in terms of pure text and image quality and the 7060D wasn’t very far behind and where the Ricoh printers seemed to struggle a bit when it came to handling large files, the 7060D and 7065DN didn’t stutter even slightly. These are easily the best printers when it comes to volume printing and comparatively heavy print loads. Couple that with the optional drum cartridges that can pump out over 10,000 pages and you’ve got a very cost effective option on your hands. When it comes down to pure numbers, the drum cartridges bring down the cost of ownership, at high print volumes, to less than Rs. 2 per page, which is quite significant. Panasonic had only one device to offer us, namely the KX-MB1500 SXB. The name may be a mouthful, but the printer is nice and compact. In fact, it’s the most compact MFD we received for this test. Both paper trays (i/p and o/p) are recessed and built into the body. If space is a constraint then this is definitely the printer for you. 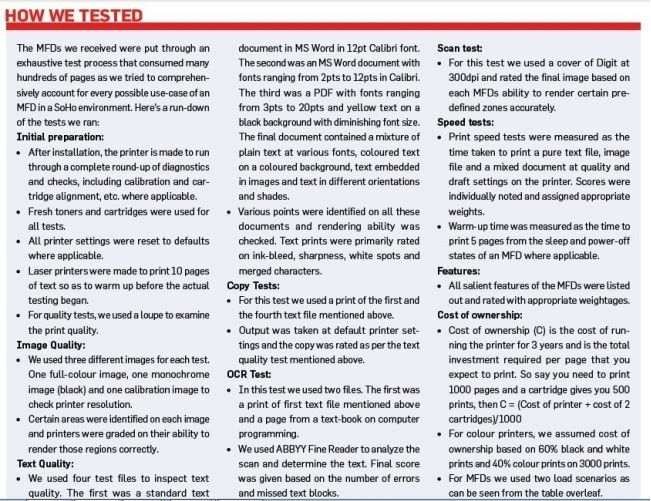 The device’s performance is strictly average and doesn’t stand out in any key area except maybe scanning, where the scanned images we tested had excellent colour tone. If anything, the output was a little faded compared to the competition, but we will say that the quality is sufficient for any home or office use. Truth be told, we can’t think of even one reason to specifically choose this MFD over the competition. It’s a strictly average device and the only thing actually going for it is the size, which is, only slightly smaller than, say the Ricoh SP100U. It’s not a bad printer at all, but nor is it a great one. The Best Buy award goes to the Ricoh SP200S. The printer scored consistently well in all our tests and while it wasn’t a stand-out printer, it offers the best combination of price to performance that should be sufficient for most use-cases. The device is a bit short on features but, it makes up for it with a comparatively reasonable price. The Brother DCP 7065DN takes the crown for the best performer. 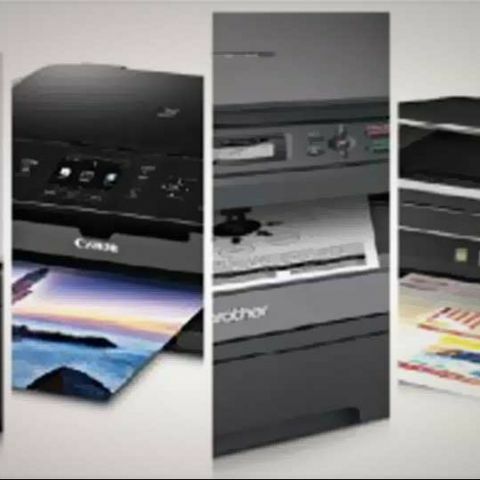 The printer’s exceptional print quality and general design make it the ideal printer for high-volume work, couple that with an ownership cost that is just about average in this category means that this printer should make a for a good, long-term office staple. We did have more printers in this category but we were left with only two when Canon decided to opt out of the test as they’re refreshing their lineup. Getting back to the devices at hand, the Epson L210 and HP DeskJet InkAdvantage 6525, while both are colour MFDs, they couldn’t be more different. This is one of those old school colour printers with the standard RGB and Black ink cartridges. The print quality was excellent and the best in our tests. We know that isn’t saying much, considering there isn’t any competition, but we’ve compared it against other printers in its class and it did come out on top. One very interesting feature of this MFD is the LCD screen. It’s a touch-screen and very handy but, that’s not the interesting part. You can actually play Sudoku and a handful of other games on that screen, as well as get news updates and the like. Why anyone would want to do that with a printer is beyond us, especially as your phone is permanently glued to your hand anyway. The output tray of the printer is fairly large and unwieldy, extending out quite a bit from the body of the printer. The input tray itself actually has two trays, one for your standard A4 and letter papers and one for photo paper. The cost of ownership for this printer is fairly high at around Rs. 5 per page for 3,000 prints, but this is not a printer for volume prints anyway. The biggest disappointment with this MFD was the scanner. The images that we scanned lacked the colour tone that we expected and our OCR software had a very hard time identifying many key areas of the page that we were using. All-in-all, this is an excellent colour printer but one that is only worth considering if you’re finicky about print quality. For any other scenario, refer to the Epson L210. What makes the Epson L210 special is its ink tank. The ink tank technology essentially allows this printer to churn out more than 4,000 pages per refill, which costs next to nothing, and essentially saves you a ton of cash in the bargain. Don’t get us wrong, this printer is easily the worst printer when it comes to print quality. By the worst we don’t mean ridiculously awful, it’s just the worst when compared to traditional printers with cartridges. The print quality is acceptable for general use and if you really were finicky about quality you’d take a proper photo printer anyway. The printer also has no features to speak off and only comes with a scanner; it’s not particularly well-designed either and you’ve got a vertical input tray along with a somewhat flimsy, extensible output tray. The printer feels light and, dare we say it, cheap. The printer suffers from quite a bit of ink bleed which is probably a consequence of the technology. Filling the cartridges is a messy job if you don’t have a steady hand and trust us when we tell you, woe be you if you get ink stains on your clothes or your floor or table or wherever you’re filling the ink. In fact, filling ink in the printer took us back to our school days as we used to go around with inkstained fingers revelling in our fancy new fountain pens. Despite all of the above, this printer prints cheap. Dirt cheap. That’s all this printer offers and, we suspect, is all that most SoHo’s need in the first place. 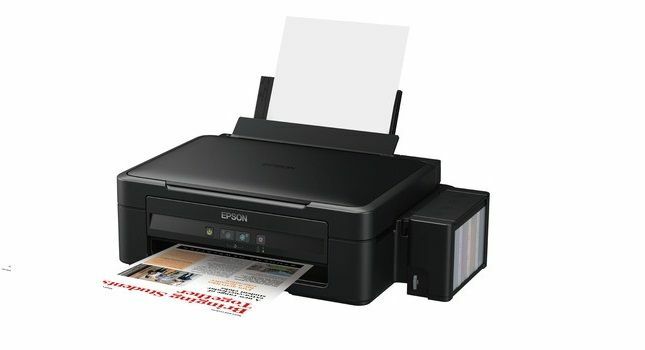 The editor’s pick has to go the Epson L210. We’ve said it before and we’re saying it again. When you’re printing colour pages at approximately 20 paise per page, no other printer can come close. At high volumes of print, this printer gives almost every printer a run for their money. 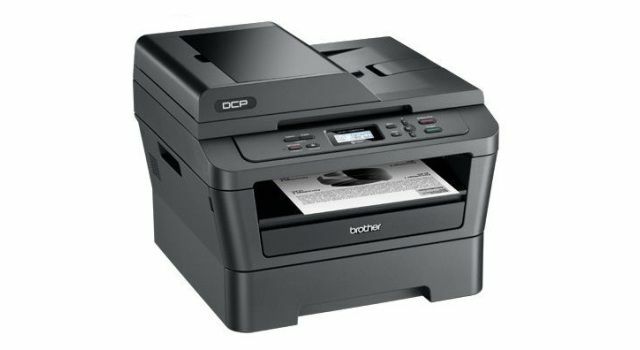 In fact, only the Brother DCP1511 offers a similar cost of ownership (Rs. 1.79 vs. Rs. 1.86) as the Epson L210 and even in that situation, the L210 will beat the DCP1511 hollow when it comes to higher volume than we've accounted for. Is Nexus 5 the best phone I can buy today?